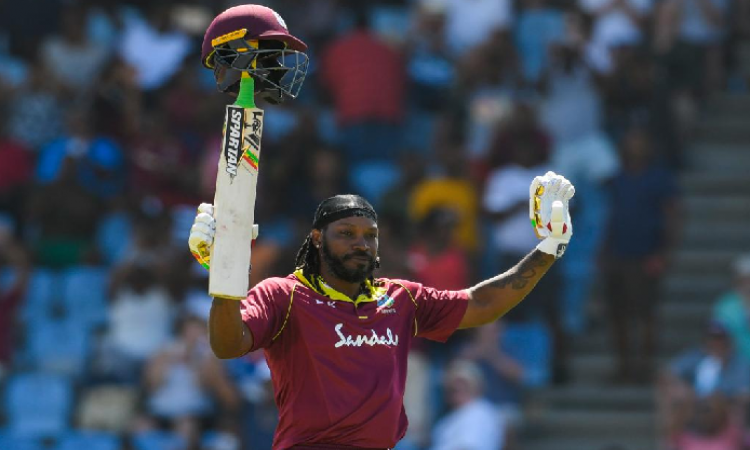 Dubai, March 3 (CRICKETNMORE): West Indies swashbuckling batsman Chris Gayle, who blasted 77 runs in 27 balls in his final home one-day international match reflected on his two-decade international career, and what it meant playing for the national side. The 39-year-old expressed his gratitude to the people of the Caribbean for their support through this series and his career, according to the ICC's website. "This is my last ODI series in the Caribbean so I was giving the fans a nice wave. Right through the tournament, they have been superb from both sides: West Indies and England sides. It would be nice if it was in Jamaica, but the crowds have been fantastic," Gayle was quoted as saying by ICC's website on Sunday. "It's been an honour to wear the crest and entertain the people around the Caribbean. West Indies is No.1. This is the best achievement you can have in the Caribbean as a cricketer. This is the best thing, to be honest with you," he added. Since announcing his retirement, Gayle has scored 424 runs in four matches at a strike-rate of 134. Gayle had been a diminishing force before the start of this series. Runs had deserted him in T20 leagues around the world. Gayle also went unsold twice at the 2018 auction before being bought by Kings XI Punjab for his base price ($200,000 approx). "I'm thankful for the form. I wasn't getting any runs in the T20 tournaments I was playing. When you get a chance to score runs, make sure you score heavy. But it's the best (I've played) in my home conditions and I'm happy and grateful for that," he said. "I'm not surprised by how well I've done, or the number of sixes. Sixes come along. It's just natural, to be honest. In T20s, I score a lot of sixes as well, but this is the first time in an ODI series. To hit 39 sixes aged 39 - it's fantastic from a personal point of view," he added. "But my mindset is that, even when I'm 60, I'll still think I can do it. I'd still think I can score runs against the best bowlers in the world. That will never change. It's just the body which is always the worrying part for me."